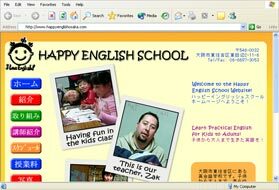 English Language School based in Osaka. Thank you for your fantastic work. I appreciate the great job you have done for us. I like your design very much. It is amazing that you have made such a terrific website without meeting us face to face.